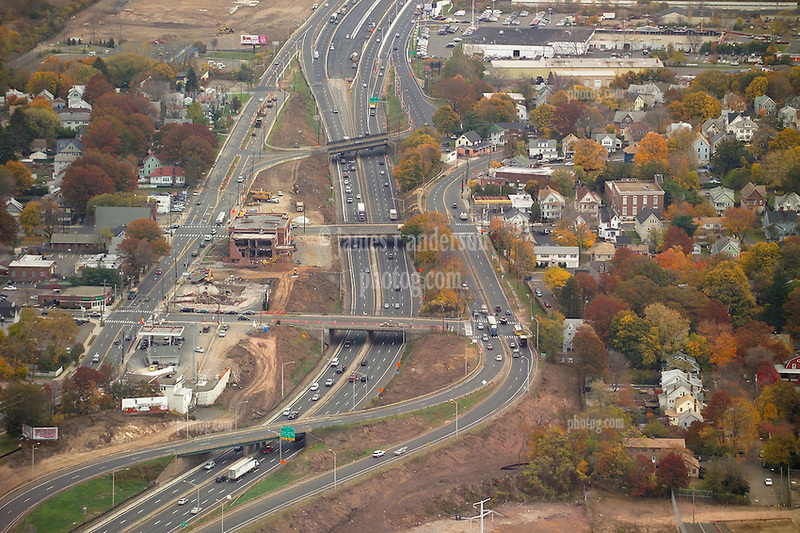 I-95 in New Haven Connecticut with the old Woodward Avenue School being razed. Aerial Photograph taken November 8, 2005 at peak autumn foliage. Construction progress image capture. Showing interchanges, overpasses and Amtrak rail right of way where applicable.